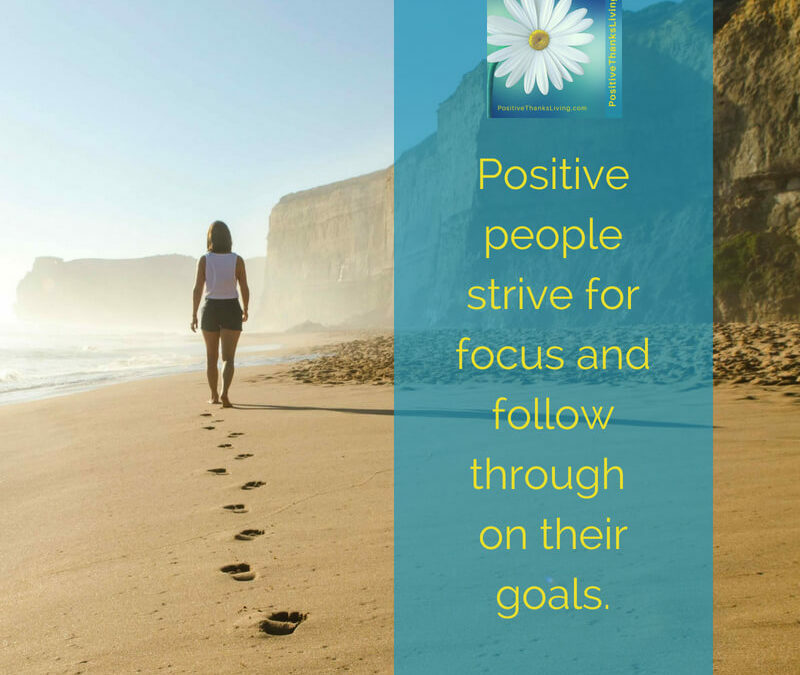 Positive People are focused. They persevere. 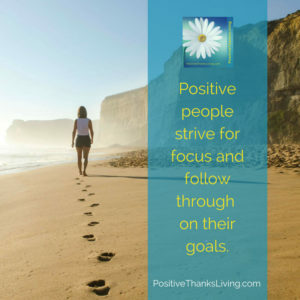 Positive people strive for focus and follow through on their goals. A positive person can change the behavior of others through their example of this perseverance in focus. It rubs off. 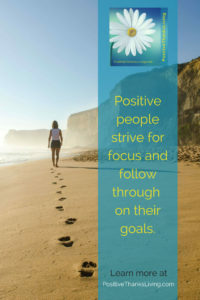 Focus and perseverance improve others’ outlook on life. What are you persevering in today? 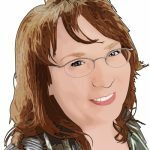 How will it impact those around you? 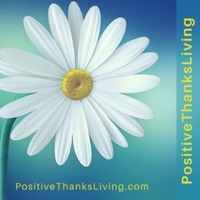 This is the 7th of eight ways positive people improve others’ outlook on life. 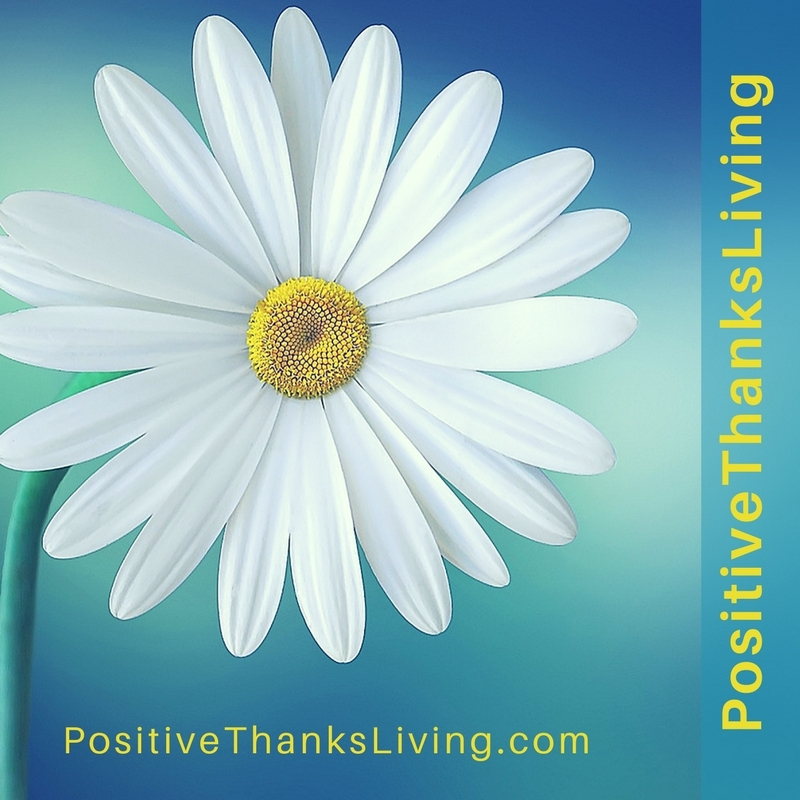 Here are links to the 1st, 2nd, 3rd, 4th, 5th and 6th ways positive people improve others’ outlook on life.